Do you know someone that demonstrates excellence in community service, leadership and philanthropy? 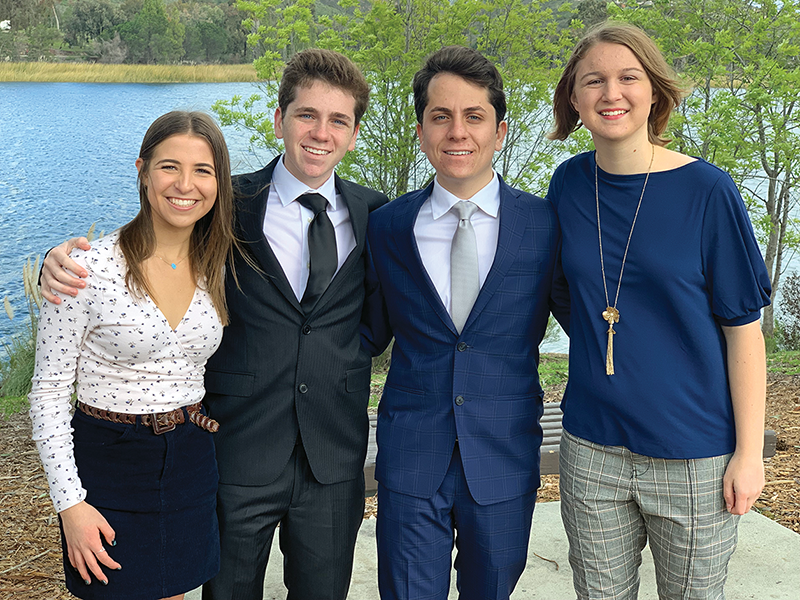 The Peter Chortek Leadership Award recognizes Jewish high school students in San Diego who are making a difference in our community by taking tikkun olam to the next level through their innovative leadership and passion. Learn more about Peter Chortek z”l. Applicants have organized and led an extraordinary tikkun olam project that has benefited others, their neighborhood, the community, the environment, or the world. Applicants have demonstrated initiative, passion and positive spirit, and have inspired others to make a difference. Applicants have created awareness about their issue, cause, or project. Applicants have a long-term vision for the growth and sustainability of their work. Applicants must currently be in high school, and have been involved with their project for at least one year prior to application. Inspiring large numbers of their peers to get involved in service projects or social justice programs. Peter Chortek z”l was not religious, but fiercely proud of being Jewish. He was committed to making a difference. His passion and focus was Jewish education, believing quality Jewish education would help insure a vibrant Jewish future. For Peter it meant being supportive of venues that would influence Jewish continuity. These include: day schools, Jewish camps, Hillel, Birthright, March of the Living, Jewish Community Centers and his synagogue. The Peter Chortek Leadership Award was created to foster Jewish communal involvement by rewarding Jewish teens who are practicing tikkun olam, repairing the world.